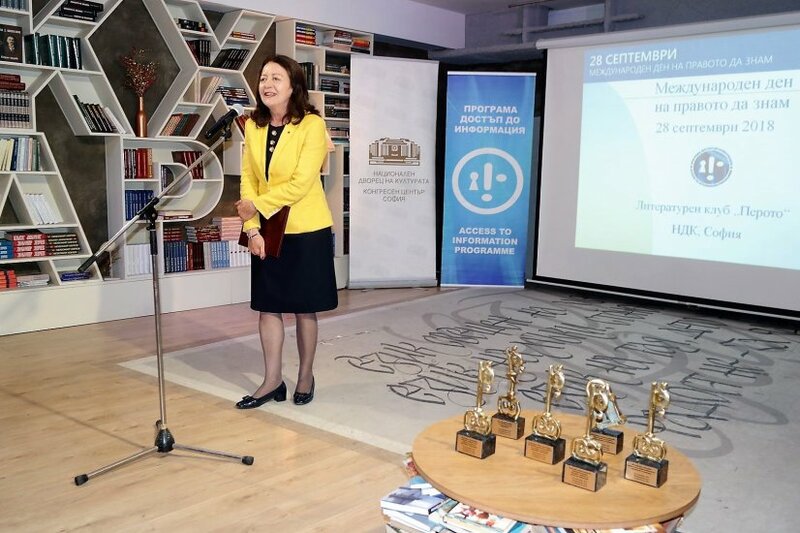 FOI activists from Sofia and the country gathered at the Literature club Peroto (The Quill) in the National Palace of Culture – Sofia to celebrate the 16th Right to Know Day Awards Ceremony. Among the guests were partner NGOs, journalists, academia; officials from executive bodies and municipalities. 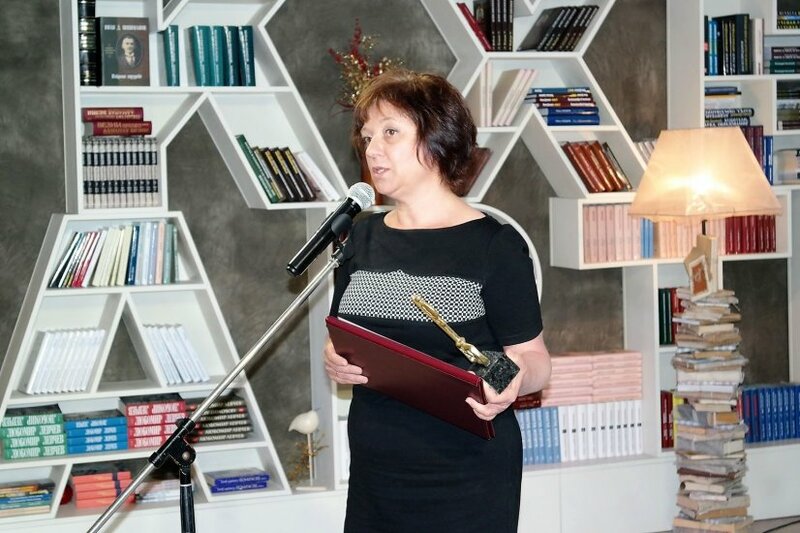 The Deputy Ombudsman of the Republic of Bulgaria, Ms. Diana Kovacheva addressed the audience for the occasion. 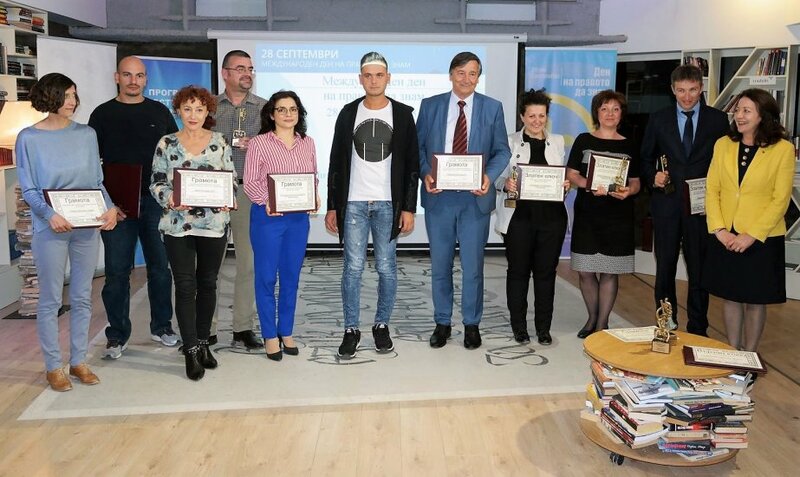 The 2018 Right to Know Day Awards Jury selected the winners in six categories out of 35 nominations received through the special web site www.RightToKnowDay.net, AIP e-mail or sent by AIP coordinators in the country. The nominations represent FOI success stories of citizens, NGOs, and journalists. 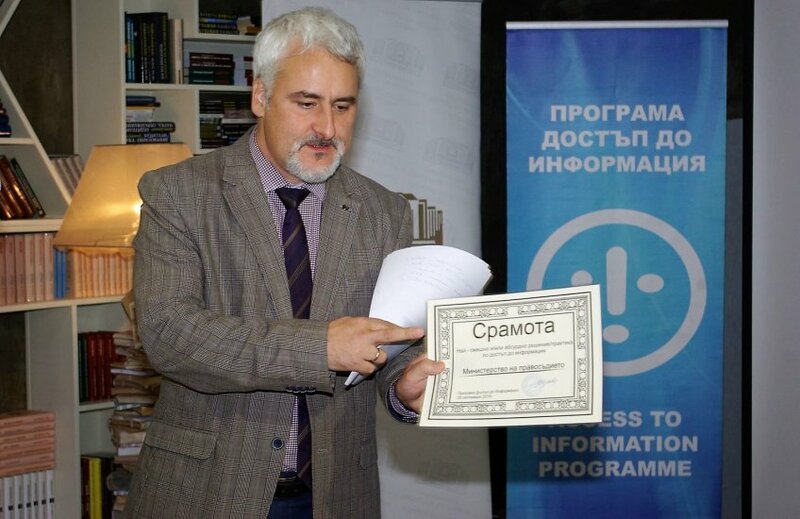 In 2018, the celebration of the Right to Know Day was possible due to the generosity of backers in the AIP crowdfunding campaign in the Indiegogo: https://igg.me/at/FOI-Champions-Day-Bulgaria/x, and by individual and corporate donations to the AIP bank account. Pictures from the ceremony are uploaded at AIP web site http://www.aip-bg.org/about/gallery/109029/ and on Facebook. 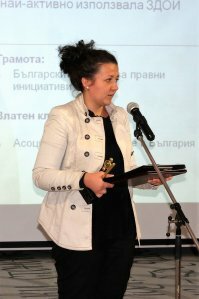 The Golden Key award for a citizen who has most actively exercised their right of information was given to Ms. Maria Sharkova from Sofia. She was recognized with the award for using the Access to Public Information Act (APIA) in her research and analysis on the court cases related to medical malpractice and the efficiency of the control bodies in the healthcare sphere. Ms. Elena Hristova from Sofia for active, consistent and persistent use of the APIA to obtain information about the registered irregularities within respective government bodies with regard to the implementation of different EU funded programs. 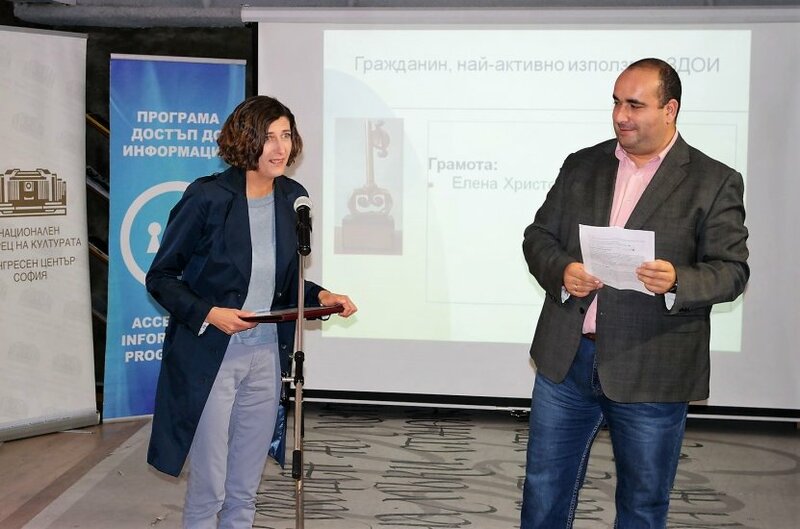 The 2018 Golden Key award for an NGO went to the Association of Parks in Bulgaria for a long-term, active and efficient use of the Access to Public Information Act to obtain information necessary for analysis of environmental protection policies, for formulation and submission of proposals for the improvement of those policies, and for revealing wrongdoings in the process of public service appointments within the structures of the national forests management. The Bulgarian Institute for Legal Initiatives for their long-term, consistent, and efficient use of the APIA for achieving more transparency and accountability in the judicial system. 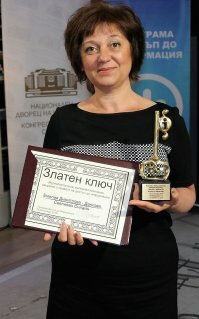 The Golden Key Award for the most efficient use of the APIA by a journalist was presented to Ms. Emilia Dimitrova-Dankova from the regional online media SevlievoOnline.com for using the APIA procedures, including the protection of the right to information in the court, for investigating and publishing on topics of particular public interests in the region of Sevlievo of Bulgaria. 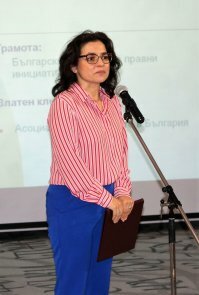 Ms. Valia Ahchieva from the Bulgarian National TV for her long-term and purposeful use of the APIA for the revealing and verification of facts in her journalistic investigations and for covering the case of the forceful retirement of a public official who had disclosed information at the APIA request of the journalist. 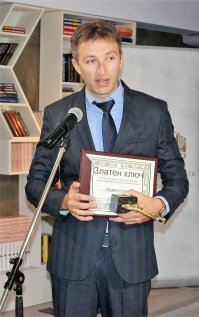 Web site BIVOL for the launch and maintaining of the BIVOL Search Engines as an instrument for free search and crosses of open format data from different public sources in the benefit of more government transparency and accountability. The Municipality of Beloslav was recognized with the Golden Key award in the category for their persistent and consistent efforts in the implementation of the obligations for active transparency during the last three years, and their leading position in the 2018 Active Transparency Rating in the Region of Varna, and the Active Transparency Rating of the Municipalities in Bulgaria. Municipality of Belogradchik for their persistent efforts in the implementation of the obligations for active transparency, for their approach towards the content of the Access to Information section to be of highest assistance to the citizens in the exercise of their right to information, as well as the responsiveness of the administration and the politeness of the mayor of the municipality. The Padlock anti-award for an institution which violates citizens’ right to information was given to the Bulgarian Food Safety Agency and its regional offices for their practices to refuse access to information to e-requests on the grounds that they were not signed when the APIA does not require any signature on the requests. 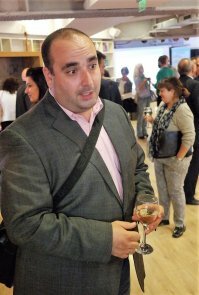 The Commission for Combating Corruption and the Withdrawal of Illegally Acquired Property for the persistent practices to refuse access to information, regardless of the public pledges for transparency and accountability, and regardless of the numerous court decisions repealing those refusals, especially on cases of investigating journalists. 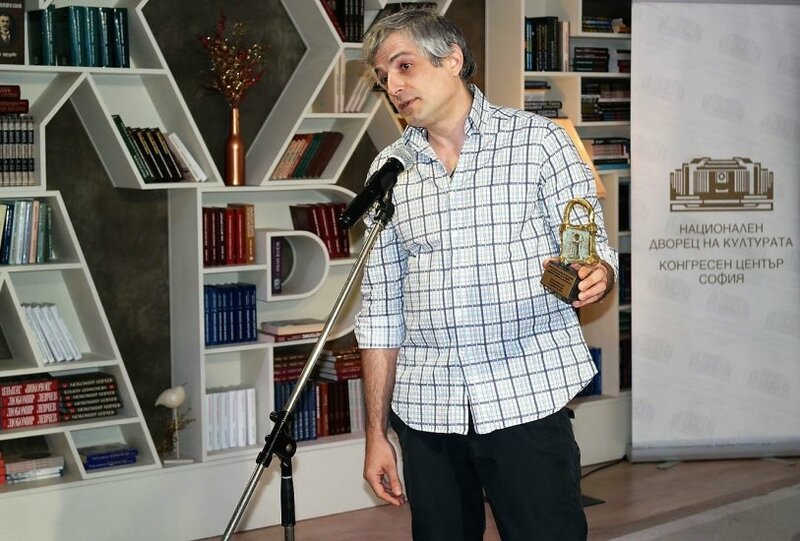 The Tied Key anti-award for an absurd access to information practice was given to the Administrative court – Varna for giving a list of APIA requesters to be checked by the Regional Directorate of the National Revenue Office – Varna. Ministry of Justice for their refusal to provide a copy of the 2017 APIA implementation report on the grounds that there were a special access procedure to the document, regardless of the fact that under the APIA institutions are obliged to publish the report on their websites.